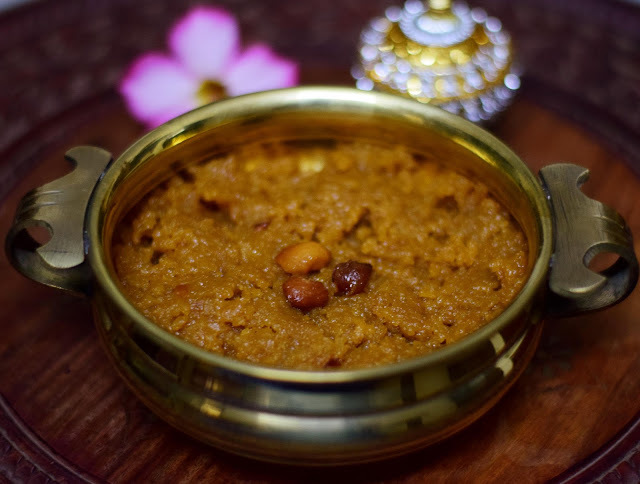 Sakkarai Pongal or Sweet Pongal is a very popular dish of Tamil Nadu made on the day of Pongal to mark the beginning of the harvest season. 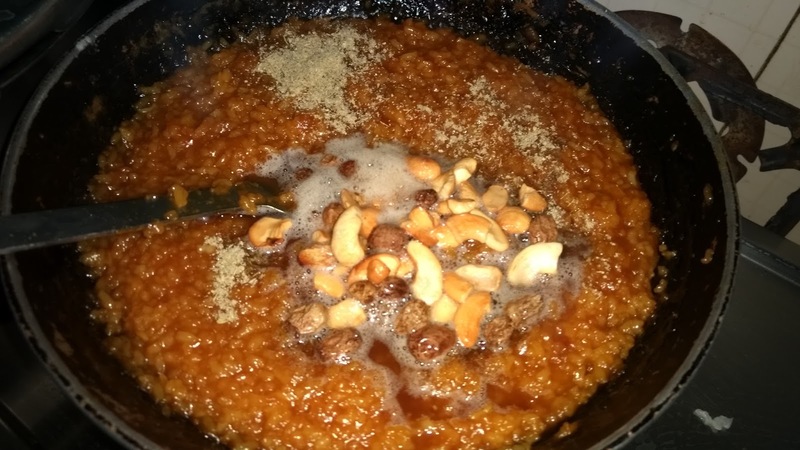 It is a delicious dessert made from rice and jaggery. 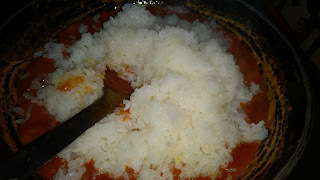 Ideally it is made on the day of pongal using freshly harvested rice in a brass vessel tied with a piece of fresh turmeric. There are different versions of sakkari pongal across Tamilnadu. In this version, we use only rice and jaggery as the main ingredients. There is no moong dal or milk added. But I am sure this is the tastiest pongal you would have ever tasted. 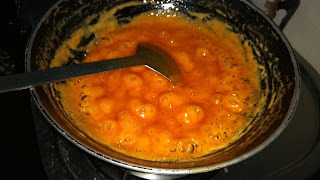 The color of the pongal depends on the variety of jaggery used. 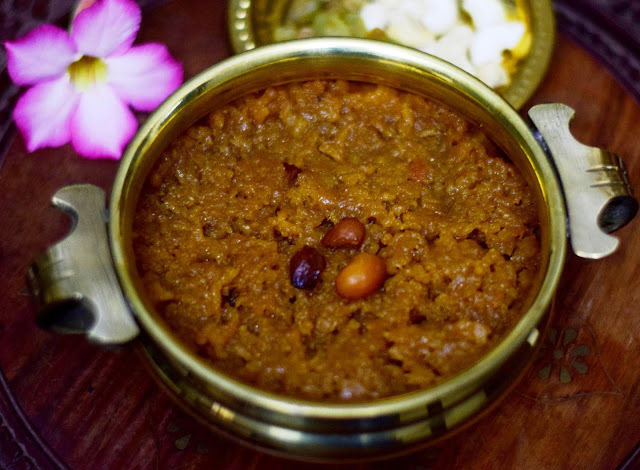 It has a rich golden hue which makes our pongal look delicious. 1. 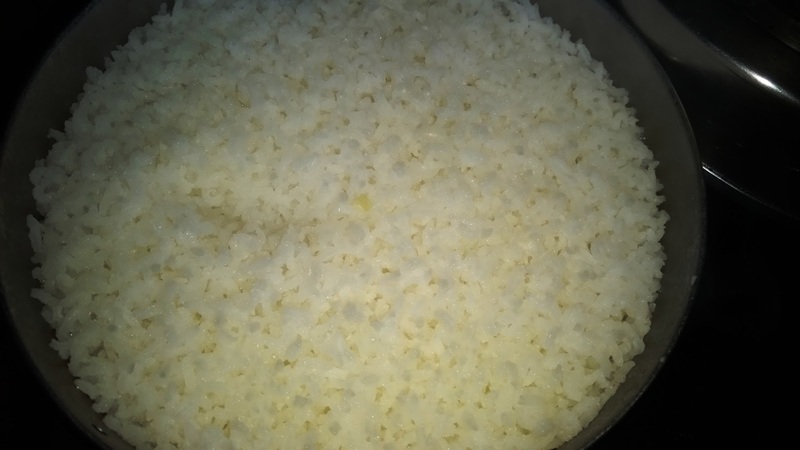 Cook rice in pressure cooker with 3 cups of water to a mushy consistency. 2. Heat 3/4th cup of water in a pan and add jaggery. 3. 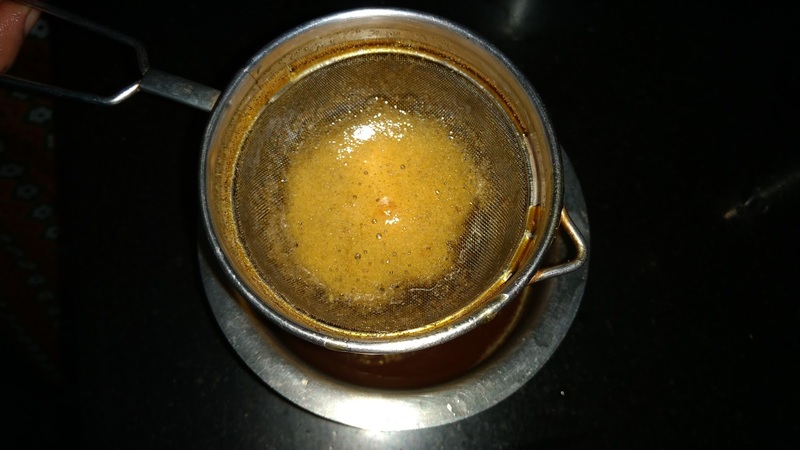 When the jaggery is completely dissolved, filter it once to remove any impurities. 4. 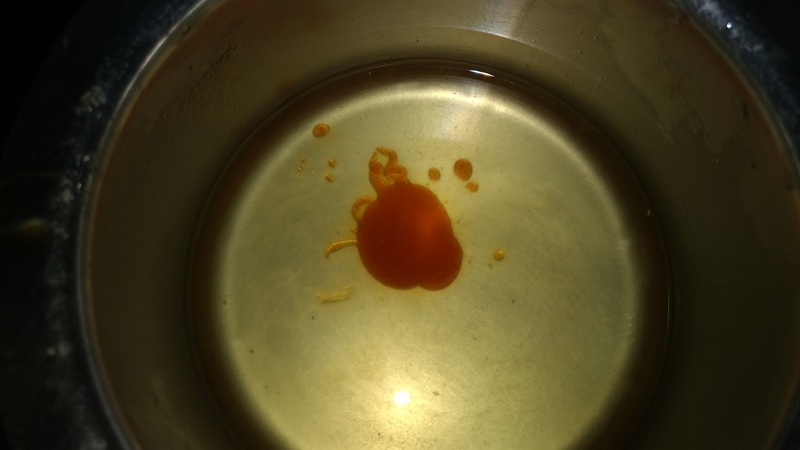 Place it back on the stove and bring it to a boil. The jaggery has to caramelize (paagu). 5. 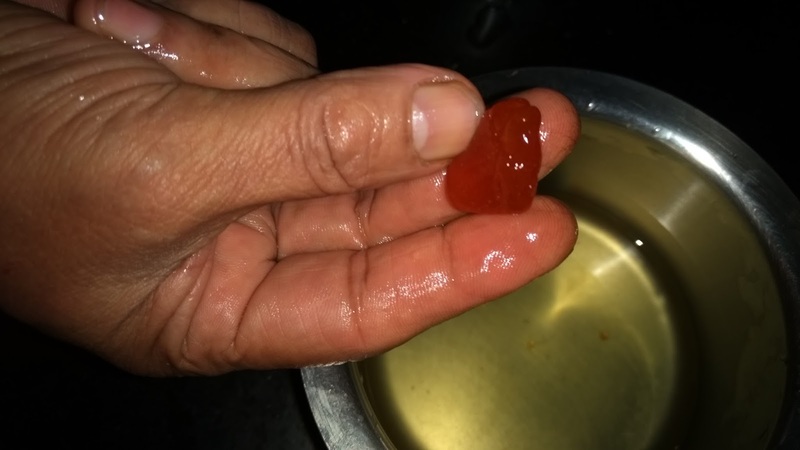 Put a drop of jaggery in room temperature water to test consistency. If it does not dissolve, jaggery is ready. Switch off stove now. 6. Mix the rice and jaggery and heat again for a few minutes. 7. Heat ghee and add cashews. Fry till they turn golden. Keep aside. 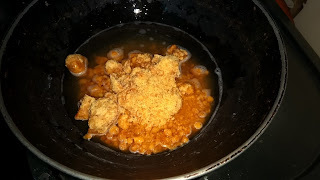 Add raisins and fry for a few minutes. 8. 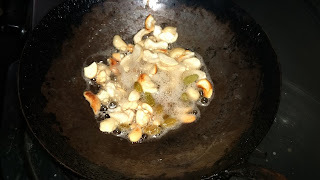 Add elaichi powder, cashews, raisins and ghee to the rice mixture and mix thoroughly.